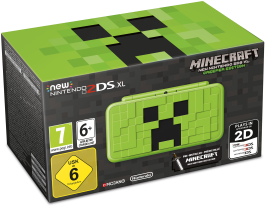 This special edition hardware bundle contains a New Nintendo 2DS XL – Creeper Edition system with a digital copy of Minecraft: New Nintendo 3DS Edition pre-installed on a 4GB microSD card, plus a Nintendo 3DS AC adapter. 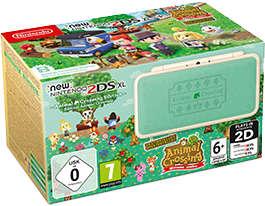 This special edition hardware bundle contains a New Nintendo 2DS XL Animal Crossing Edition system with a digital copy of Animal Crossing: New Leaf - Welcome amiibo pre-installed on a 4GB microSD card, plus a Nintendo 3DS AC adapter. 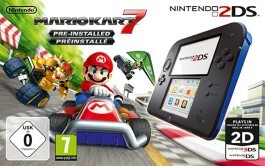 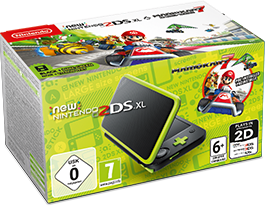 This hardware bundle contains a black + lime green New Nintendo 2DS XL system with a digital copy of Mario Kart 7 pre-installed on a 4GB microSD card plus a Nintendo 3DS AC adapter. 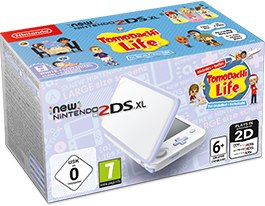 This hardware bundle contains a white + lavender New Nintendo 2DS XL system with a digital copy of Tomodachi Life pre-installed on a 4GB microSD card plus a Nintendo 3DS AC adapter. 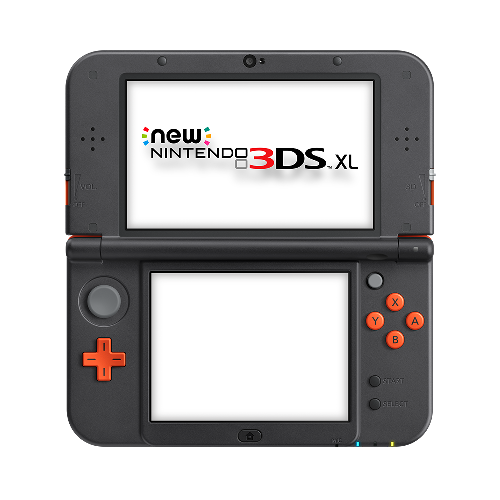 This bundle contains a Black + Turquoise New Nintendo 2DS XL system plus a download code for SUPER MARIO 3D LAND and a Nintendo 3DS AC adapter. 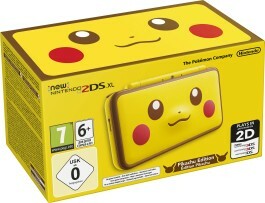 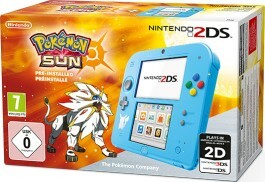 This bundle contains a special edition New Nintendo 2DS XL system plus a Nintendo 3DS AC adapter. 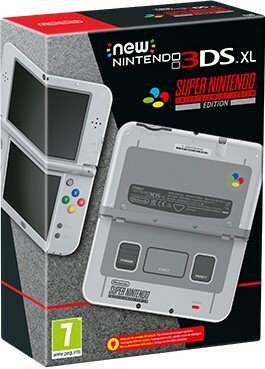 This retro-themed system’s outer shell pays tribute to the classic design of the Super Nintendo, while inside the Nintendo 3DS buttons are coloured just like the original system’s controllers. 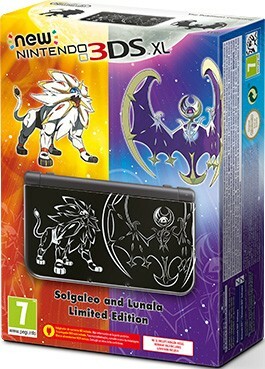 This black New Nintendo 3DS XL system features artwork of the Legendary Pokémon Solgaleo and Lunala. 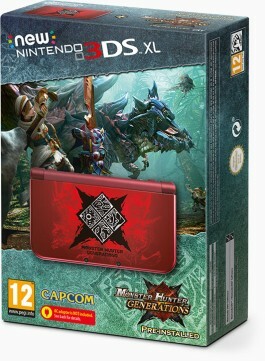 The New Nintendo 3DS XL Monster Hunter Generations Edition comes in a striking red colour and features artwork of the game’s Fated Four, an elite group of powerful monsters. 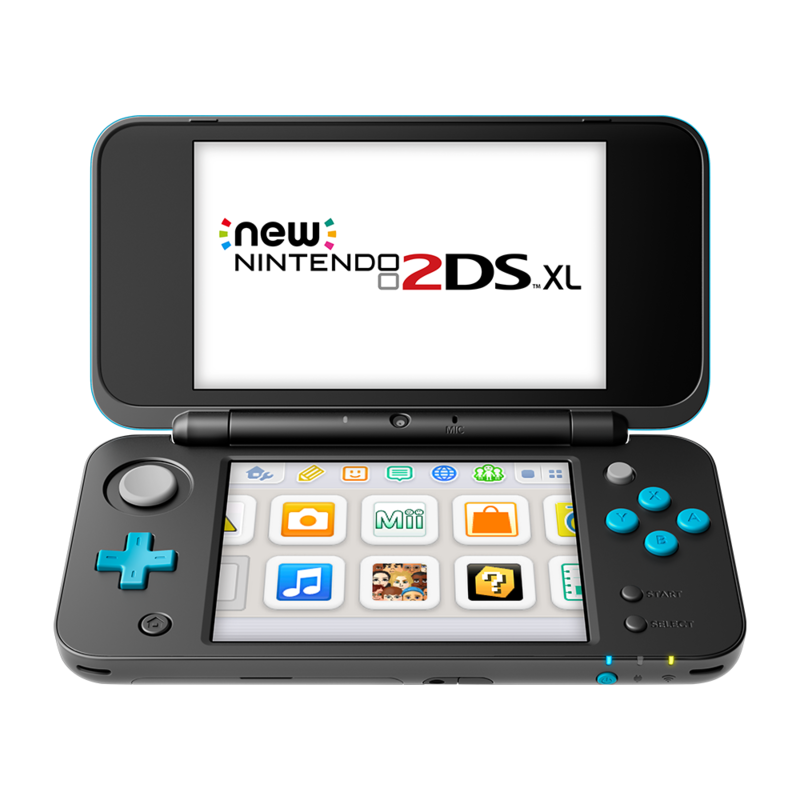 In addition, this hardware also includes Monster Hunter™ Generations pre-installed on a 4GB microSD card. 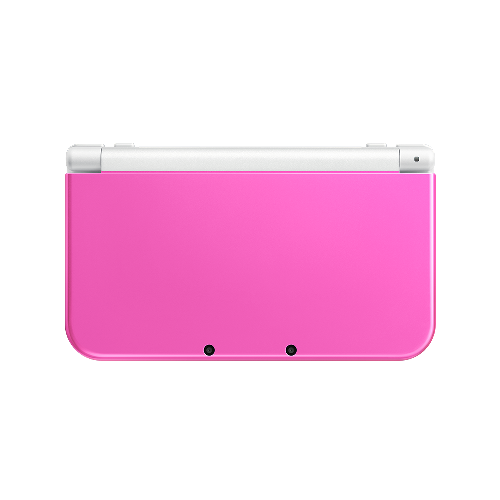 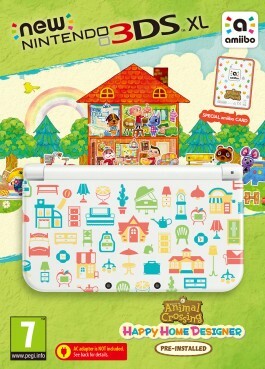 Includes a white New Nintendo 3DS XL system with a unique, game-themed cover design, a pre-installed digital copy of Animal Crossing: Happy Home Designer and one special amiibo card. 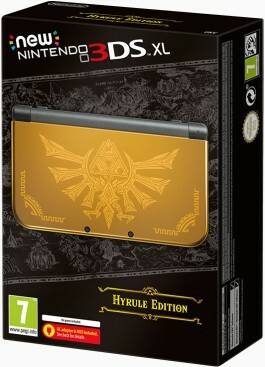 This gold-coloured New Nintendo 3DS XL system features an intricate Hylian crest design on the front. 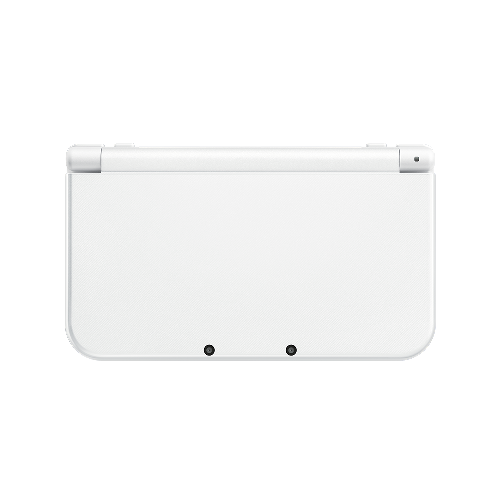 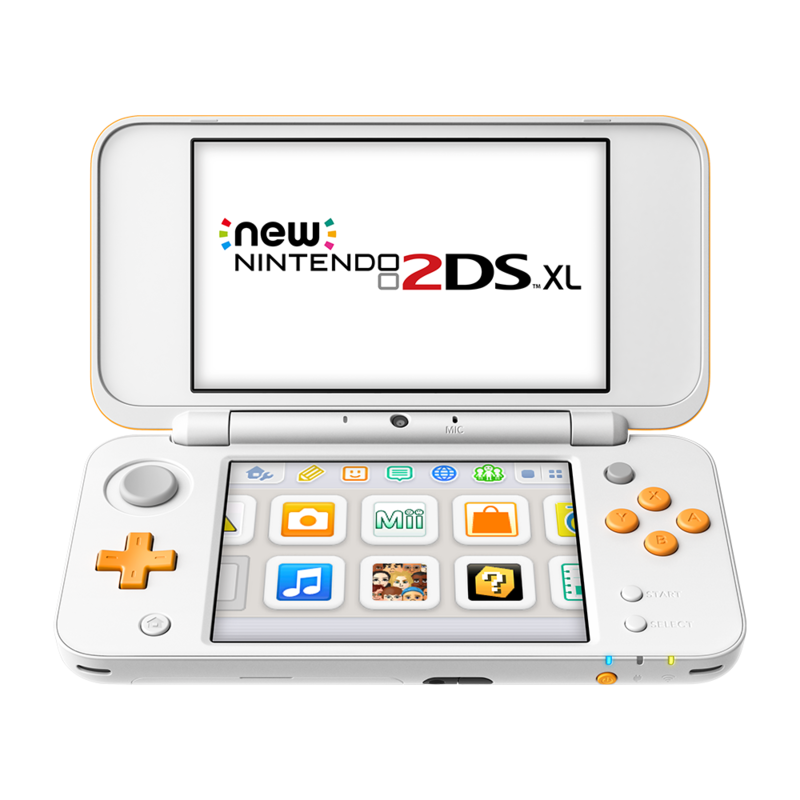 This black and white New Nintendo 3DS XL system features the emblems of the game's two warring families, Hoshido and Nohr. 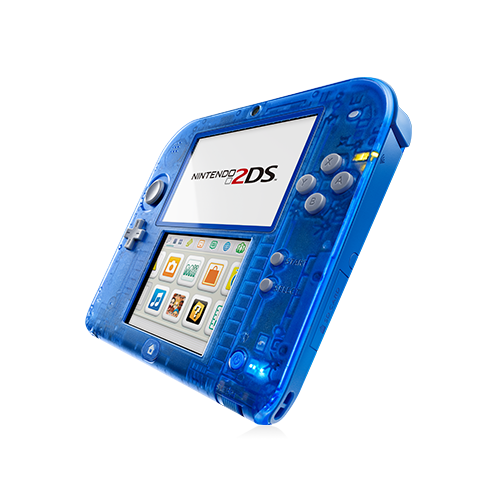 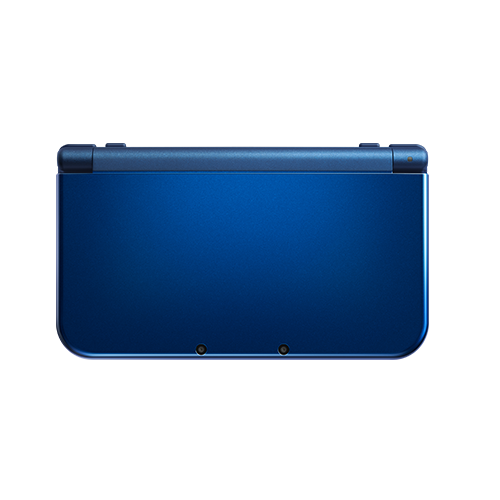 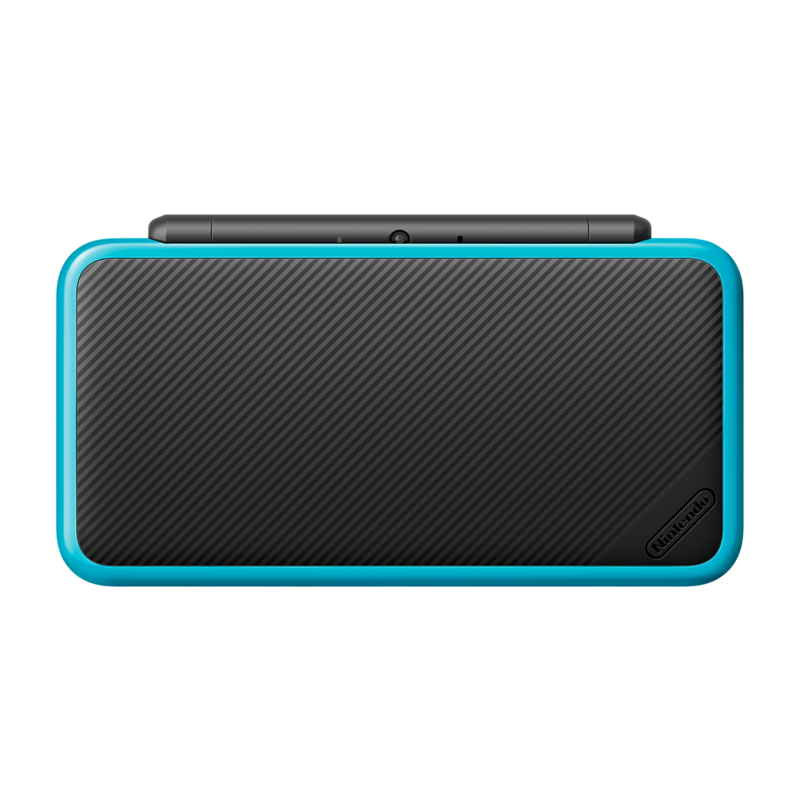 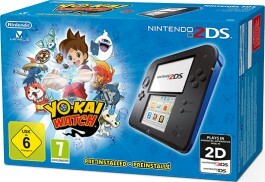 This bundle contains a special edition Nintendo 2DS system with a digital copy of the game pre-installed on a 4GB SD card plus a Nintendo 3DS AC adapter. 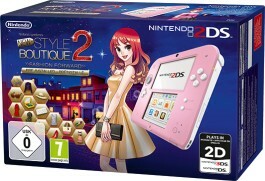 This hardware bundle contains a pink + white Nintendo 2DS system with a digital copy of the game pre-installed on a 4GB SD card plus a Nintendo 3DS AC adapter. 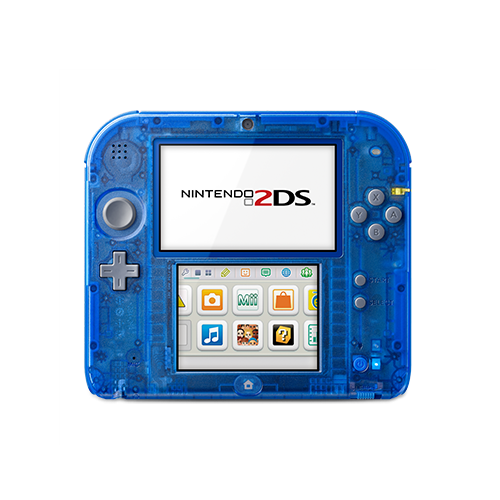 This hardware bundle contains a black + blue Nintendo 2DS system with a digital copy of the game pre-installed on a 4GB SD card plus a Nintendo 3DS AC adapter. This hardware bundle contains a white + red Nintendo 2DS system with a digital copy of the game pre-installed on a 4GB SD card plus a Nintendo 3DS AC adapter. 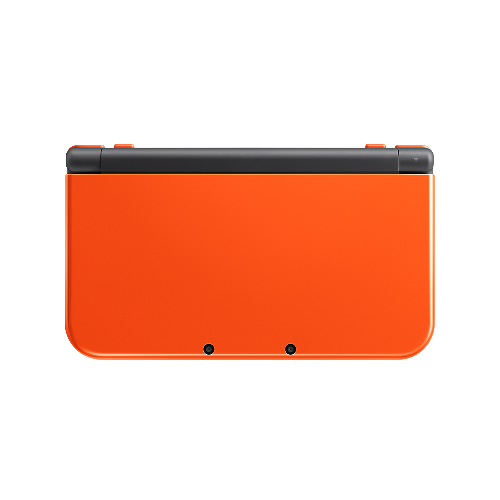 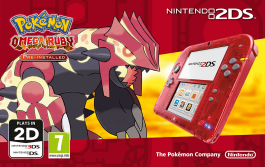 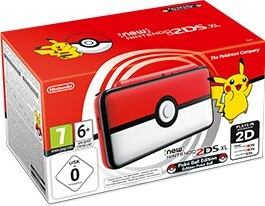 Includes: a Nintendo 2DS Transparent Red system plus a copy of Pokémon Omega Ruby pre-installed on a 4GB memory card. 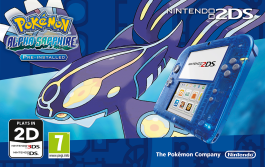 Includes: a Nintendo 2DS Transparent Blue system plus a copy of Pokémon Alpha Sapphire pre-installed on a 4GB memory card. 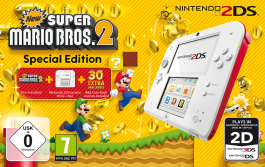 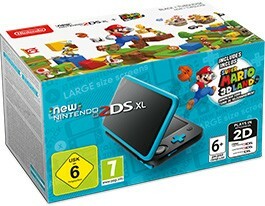 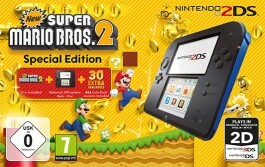 The New Super Mario Bros. 2 Special Edition bundle includes a Nintendo 2DS Red + White, a copy of New Super Mario Bros. 2 pre-installed on a 4GB memory card, and all the Coin Rush mode add-on content released for the game since its launch in August 2012. 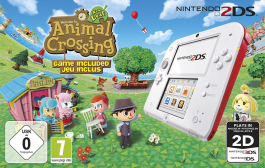 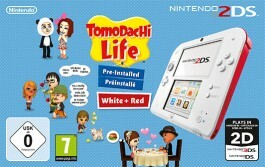 This bundle includes a WHITE + RED Nintendo 2DS system and a copy of Animal Crossing: New Leaf. 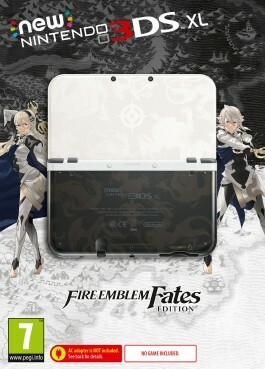 The special edition designs shown are examples only and may not be available to purchase at this time. 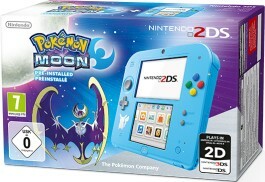 Please check with your local retailer for information on current availability. 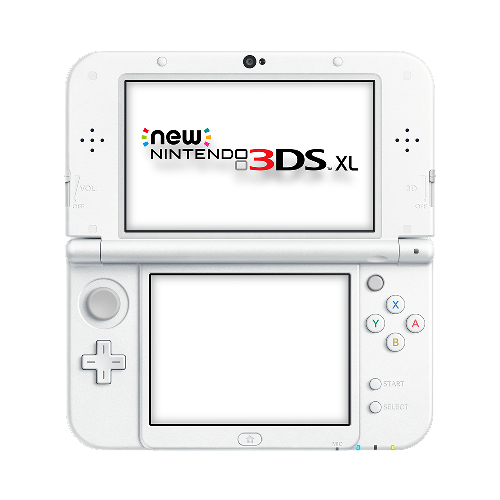 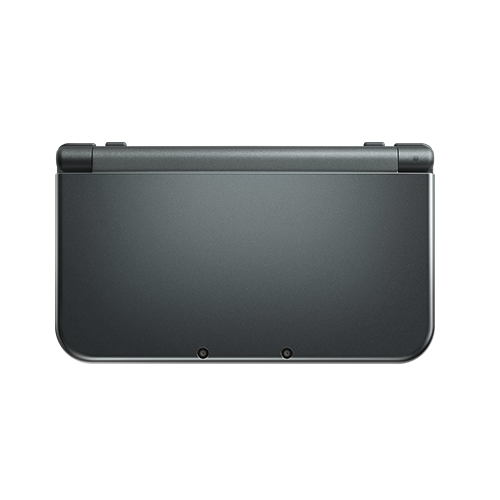 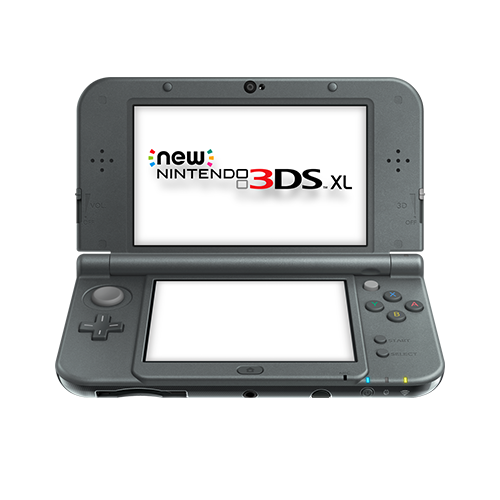 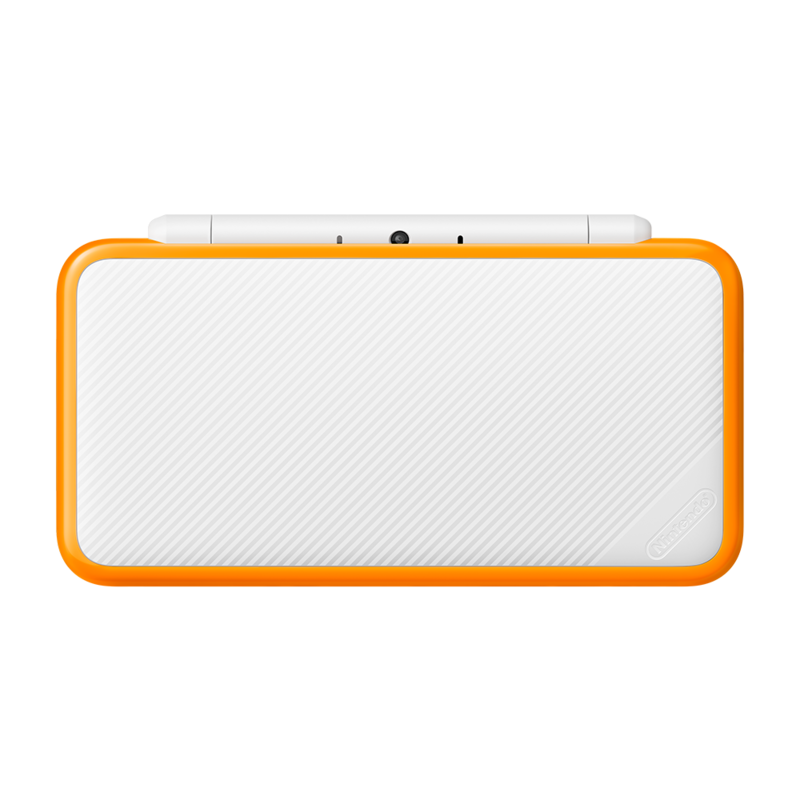 *Please note: this bundle does not include software for Nintendo 3DS family systems.